The youth identified as Rizwan Asad, a resident of Awantipora area of Pulwama district and an activist of Jamaat-e-Islami of occupied Kashmir, was tortured to death in NIA custody in Srinagar during the intervening night on Monday and Tuesday. 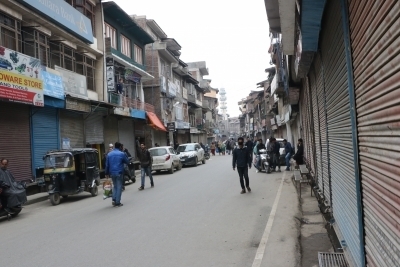 All shops and business establishments were closed in Srinagar and in Awantipora while traffic was off the roads. Meanwhile, thousands of people thronged the residence of the deceased youth soon after the news about his death reached Awantipora. The authorities suspended Internet and mobile phone services soon after the custodial killing of the youth. Rizwan Asad, principal of a private school, was detained by NIA sleuths in connection with a fake case three days ago.